In this video, we will be discussing whether or not dual citizens are required to file FBARs. Dual citizens, along with all other "United States persons", must file a Report of Foreign Bank Accounts, also known as an FBAR, if the aggregate value of their foreign financial accounts exceeds $10,000 at any time during the year. This requirement applies to U.S. citizens, residents, green card holders, and those who must file taxes because they spend significant time in the United States. It also applies to legal entities, including corporations, partnerships, and trusts. While other countries only tax their citizens on income earned within the country's borders, the United States taxes its citizens, along with other individuals who have a filing requirement, on all worldwide income from any source. This requirement, along with the FBAR filing requirements, can create problems for expatriates. Expats who move abroad are still responsible for complying with U.S. tax law as long as they remain United States citizens, or green card holders. Even if you live abroad for the entire year, and none of your income would be taxable, you may still have to file a tax return. If you open a bank account in a foreign country, and the aggregate value of all of your foreign accounts exceeds $10,000 during the year, you must file an FBAR. Those that live outside the United States, and who have unknowingly run into FBAR compliance issues is immigrants to the United States. Even though they may be dual citizens, immigrants who maintain a bank account in their home country and then become United States taxpayers may have to file an FBAR in addition to filing a United States tax return. U.S. citizenship is not a prerequisite to triggering these requirements; individuals with green cards or those who meet the "substantial presence" test will also need to file these returns. The penalties for FBAR non-compliance are severe; $12,459 per violation for non-willful violations and the greater of $124,588 or 50% of the balance in the account at the time of the violation, per willful violation. To avoid these penalties, contact one of our tax attorneys to discuss whether you should pursue one of the voluntary disclosure programs. 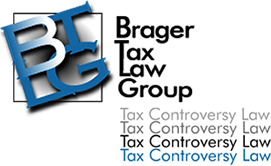 If you have been contacted by the IRS regarding delinquent FBARs, talk to a tax attorney immediately. You may be able to negotiate reduced penalties, particularly if you have no history of tax problems and certain other requirements are met.